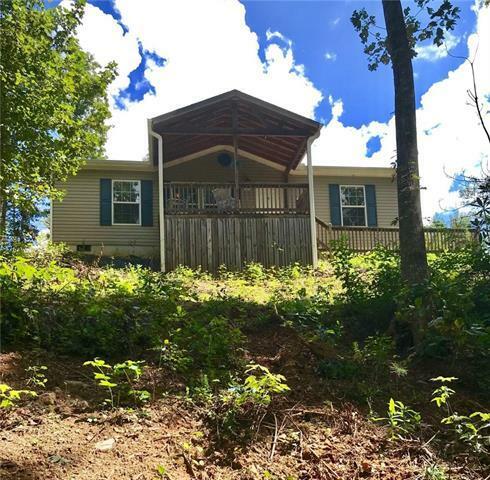 Home and six acres nestled over a creek and hidden in Northern Alexander County. This manufactured home is in perfect condition with pretty laminate wood floors and tile. One bedroom removed to make extra large closet and large living room. From the covered front porch you can hear the rushing creek that is a beautiful view from you home. Private with most of the acreage left in natural woods so little lawn maintenance. Additional acreage available.